Berlin was the most affordable shopping destination of the top ten fashion cities in the world, according to the latest Hotels.com Hotel Price Index. The iconic style capital, New York was ranked as the most expensive despite its popularity amongst retail tourists for securing brands on a budget. The Index, now in its eighth year, chronicles the actual prices paid by travellers in 2011 in more than 142,000 hotels around the world. As the pound continued to strengthen against the Euro, the German capital provided the best value for both the cost of its hotels and its fashion. The average cost of a hotel room was only £73, allowing British shoppers to make the most of their budget in the popular Berlin style scene. Tokyo (£102) and Barcelona (£104) were the second and third lowest priced cities providing spendthrift style alternatives for savvy shopping tourists. The retail tourist’s staple destination, New York, was undeniably the most expensive at an average of £173 per night, despite providing some of the most affordable shopping. 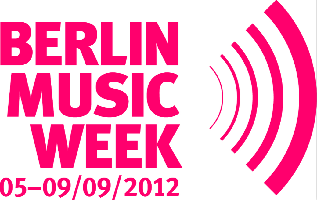 This year Berlin Music Week takes place from September 5 to 9, nesting in it’s new location, Friedrichshain-Kreuzberg. This happening neighborhood centres around the Spree’s Osthafen (Eastern-harbor), which is not only an urban architectural wonderland but also a hotbed for music production and music related start-ups and tech. As a happy consequence, in this “kiez” some of the city’s best clubs, pubs, and bars are all within a stone’s throw of one another. Word On Sound, is a new business and conference platform taking place from September 5 to 7. Word on Sound is a professional development and exchange forum for music protagonists and curious creatives. The platform consists of smaller, more targeted events and moves away from a traditional trade fair experience. Programming and partners of Word on Sound facilitate discourse on music and all that it inspires: live events, film, art, fashion, academics, community, political action and of course digital and analog commerce. Sleepless nights are the heart and blood of the Berlin club and music scene. The Friedrichshain-Kreuzberg district is the city’s urban melting pot, and for years artists, music, DJs and producers from all over the world have been drawn to it as a place to exercise their creativity and develop their sounds before finally presenting them at the neighbourhood clubs. It’s the ideal setting for Berlin Music Week, with both official venues and off-locations in bars, cafes, businesses and underground stations, creating the perfect set-up for a real festival atmosphere. Berlin Music Week Club Nights will be held from September 5 to 8. At “real Berlin prices”, the new club festival concept offers music fans a party program of the newest, hottest talent. The venues are some of the most well-known and established spots the city has to offer: Lido, Magnet, Comet, Astra, Arena, Badeschiff, Glashaus, Festsaal Kreuzberg and Postbahnhof – but also newer clubs like Bi Nuu (formerly Kato). *Gold-accreditation for Berlin Music Week 2012 includes access to programs within the professional-platform “Word on Sound”, Entrance to Club-and Showcase events, admission to the official Berlin Music Week opening party at the Radio EINS 15-year anniversary celebration and free public transportation throughout Berlin. Screen International, the pioneer of festival and market dailies, including at the Berlin and Cannes film festivals, has appointed Wendy Mitchell to succeed Mike Goodridge as editor. Mitchell will edit both Screen International and ScreenDaily.com. The first major focus to be announced for the 2013 Berlinale is indigenous cinema. A special section entitled Native will be devoted to the cinematic storytelling of indigenous peoples from around the world. Milestones of indigenous filmmaking will be shown in a special program of feature-length and short fictional and documentary films. The programme will be curated together with a number of experts who are themselves of indigenous descent. The central venue of the main programme will be the Haus der Berliner Festspiele, where, in addition to the film screenings, panel discussions and other events will be held. The Berlinale’s sections also plan to include recent indigenous films in their various programmes. Native aims to give international audiences the chance to experience the diverse forms of expression and content of indigenous cinema, while the Berlinale wants to express its high regard for indigenous cinema and its artistic, economic and political relevance, which goes beyond the boundaries of nation and tribe. The 63rd Berlin Festival will take place from Thursday, 7 February to Sunday, 17 February in 2013. The official web site of the Berlin Film Festival, or Berlinale, is www.berlinale.de.